Come along to the King Street venue and see an artist who is on a short tour of the UK with his band from New Jersey. The band has focused its’ efforts in Europe in the past decade. 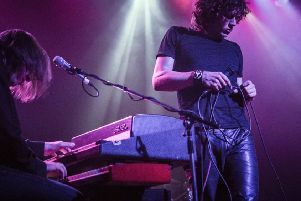 13 tours since 2007 have established the group in the fertile British blues rock scene. Good things have been happening to the Billy Walton Band. The band recently signed to Vizztone Records for the release of Wish For What You Want. Produced by Tony Braunagel, the award winning BMA producer and current Eric Burdon drummer, this batch of songs will certainly take the band to the next level. Find out why so many people are getting excited about the Billy Walton Band. Doors open at 8pm and admission is £14. Advance tickets are available from The Flowerpot and RAW Promotions. You can also click here for more details.